Of all the gatherings of “gourmet” food carts and street food vendors in Manhattan I think Madison Square Eats has the highest percentage of great vendors. On the savory side, there are too many to mention them all. Here’s a select few: Calexico Cart, Asia Dog, and Roberta’s (real wood oven) pizzas. On the sweet side there’s plenty of standouts as well. Some of my favorite picks are featured below. 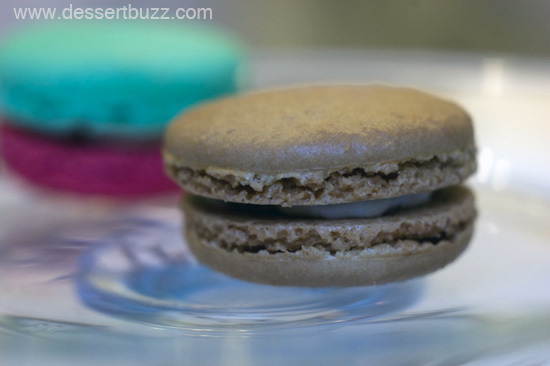 New to Madison Square Eats is the Macaron Parlour. I recommend their candied bacon and maple cream cheese macaron. Alternatively, if you’re staying with the chocolate flavors (and why not? 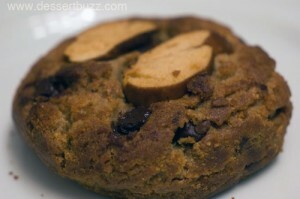 ), you can get their S’mores macaron (both are $2.00). 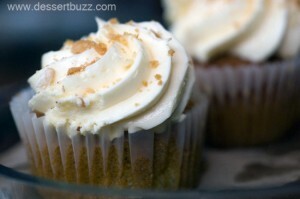 Robiclli’s was also there with what some think are the best cupcakes in New York City. You can read more about Robicelli’s on Blondie and Brownie or on Serious Eats where Robicelli’s won the 2010 People’s Choice award for best cupcake ($3.00). I almost forgot Wafels and Dinges–winners of the Vendy Award “sweet” category and general NYC favorite. Insider hint: follow their twitter for daily free items in exchange for doing or saying something silly. The Sigmund Pretzel Shop normally operates out of their Lower East Side store on Ave B between 2nd and 3rd St. They offer mostly savory pretzels like sesame, feta-olive and cheese and herb (all $3.00) but they also have a monster-sized, pretzel-based-cookie called the Wancko. 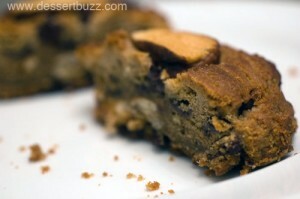 It contains peanut butter, large pretzel bits and chocolate chunks. It’s $3.00 but since it’s so huge you could easily split it two or more ways. 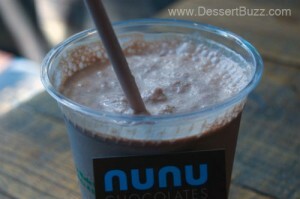 Nunu frozen or hot, hot chocolate - one of the City's best. NuNu chocolates has a bricks and mortar store on 529 Atlantic Avenue in Brooklyn and sells their chocolates in over a dozen location in NYC, but for one more week you can enjoy one of the best hot chocolates in New York City (really) at Madison Square Eats for $5.00. It’s a little sweeter than Jacques Torres or City Bakery. Pistachio cannoli from Artisan Stuffed Cannoli on Stanton St. 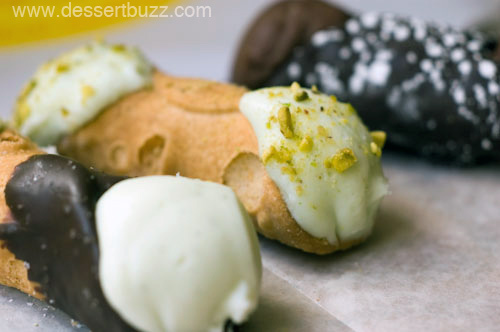 If you’re like me and you like cannolis but think they are often too sweet–do yourself a favor and try three of the Cannolis from Stuffed Artisan Cannoli for $5.00. Make sure you include a pistachio and salted dipped-chocolate flavor. You’ll become an instant convert to these not-too-sweet, ricotta-filled desserts. Dessertbuzz recently visited Artisan Stuffed Cannolis at their shop on 176 Stanton Street. For additional coverage check out Blondie and Brownie. Madison Square Eats is open from 11:00 a.m.- 9:00 p.m. every night until October 21. The market is centered in Worth Square on the west side of Madison Square Park between Fifth Avenue and Broadway, and 24th and 25th Streets. 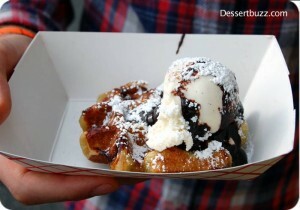 oooh totally want a wancko cookie and a wafel right now. was so excited to read this – but then totally disappointed, it’s over on the 13th ? 🙁 wish i knew about this earlier, we could have gone together, niko !